Once the dough is chilled, you have to work quickly while handling it, because it warms up in your hands pretty fast. 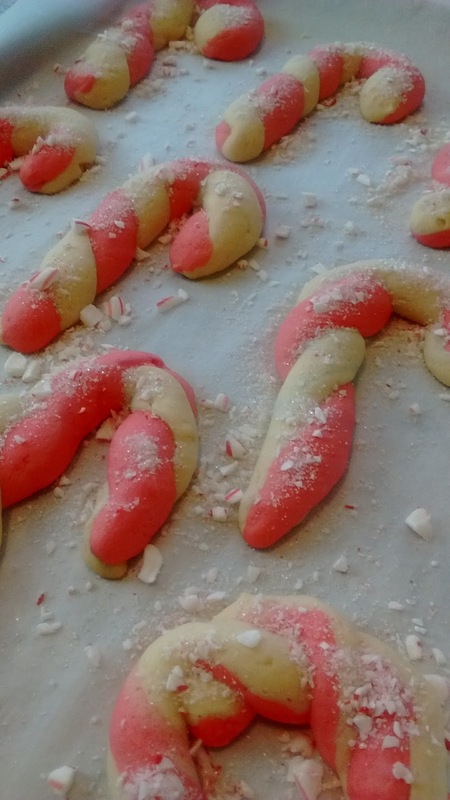 My kids and I had a fun time making the candy cane shapes, candy cane sticks, wreaths, and knots. And when we ran out of white, we made a couple red chickens cookies. haha! The recipe is a bit of an ordeal, but so iconic for the season, and definitely worth eating and sharing!